The foreign ministers of Sudan, Egypt, and Ethiopia have failed to reach an agreement in the lingering dispute over Ethiopia’s massive dam on the Blue Nile, ministers said on Friday. Sudan’s Foreign Minister Ibrahim Ghandour said on Friday that 15 hours of talks in Khartoum have ended with no deal. The three countries’ intelligence chiefs and irrigation ministers also attended the talks. Egypt’s Foreign Minister Sameh Shukri confirmed the remarks in a report published by the daily al-Shorouk, adding that there will be another round of talks within 30 days. Egypt fears Ethiopia’s $4.8 billion dam could reduce its Nile water share. Ethiopia has said it needs the dam for its development and is seeking to assure Cairo that it will not significantly harm it. The sticking point appears to be how quickly the reservoir behind the dam will be filled and if that will impact Egypt’s water share. The Renaissance Dam is now 63 percent finished and Ethiopia hopes to become a key energy hub in Africa upon its completion. Egypt has traditionally received the lion’s share of the Nile’s waters under agreements seen by other Nile basin nations as unfair. 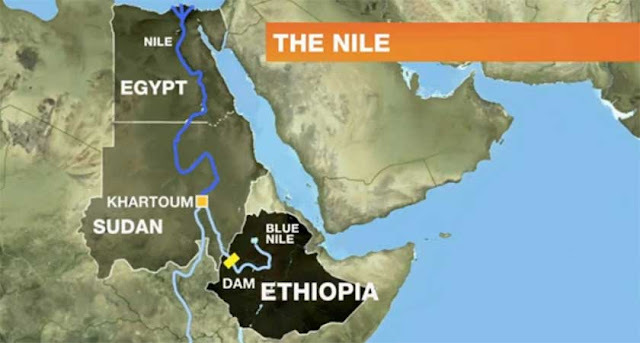 Former Egyptian presidents have warned that any attempt to build dams along the Nile will be met with military action. Sudan appears to be taking Ethiopia’s side in the dam negotiations and has revived a longstanding border dispute with Egypt.